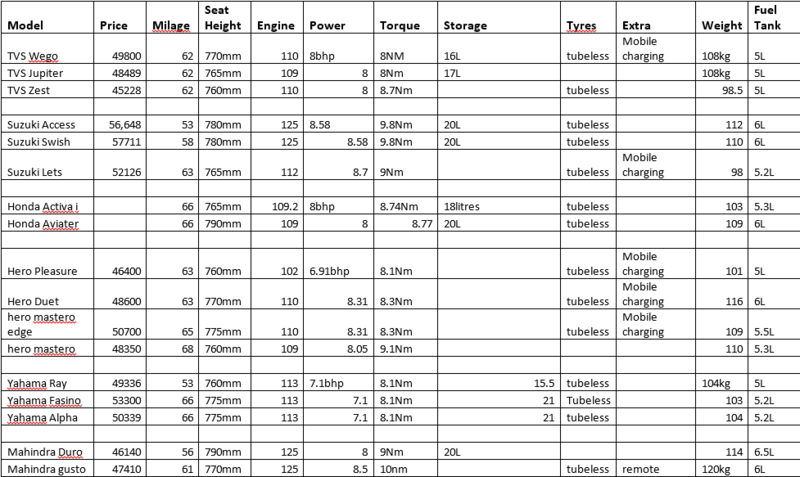 Below is chart of different bikes without gear with mileage, ex-showroom price (Delhi) and some specifications. The data is collected from different websites. Note: We have tried our best to gather correct information however if any information seems incorrect do let us know.